Cyrsti's Condo: The Right or Wrong Person for the Job? The Right or Wrong Person for the Job? I really don't know how many times I have sworn myself off the "allure" or lack of it from Caitlin Jenner. Of course I know the non negotiables. Without a doubt she is the biggest public relation's splash ever in the transgender community. 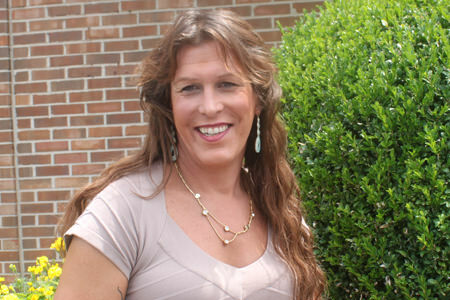 Now we have a former Olympic hero along with Navy Seal Kristin Beck as recent "coming out" stories. In fact, Kristin is running for US Congress. I am sure Jenner's life will ever allow her to ever experience the everyday lives we live as transgender women. Can you imagine the paparazzi crowding into a women's restroom with her? After watching her last show rater intently (and knowing it's a glossy over produced Kartrashian show) I couldn't see the emotion in Jenner. Again, I don't know all the facts about her, except she went out and bought the best plastic surgery money could buy. Again, maybe that's why I can't see any emotion in her face-she can't move it!!!! Plus, I have no idea how long she has been back on HRT. It took me three years on hormones to begin to see the world in a different way. When I watch Jenner, I wonder if she has passed over (no pun intended) to the feminine side much at all. She tries to overtalk most people and doesn't want to listen for the real problems-typical male. Then again, maybe I am just watching the true quandary of a Mtf gender transition play out with Jenner. I don't question the pure persistence and strength it takes to jump the gender fence. It will be interesting to see in the years to come what happens with Jenner. Will a "softer-gentler" Caitlin truly begin to enjoy a life in the girls sandbox? Or, will the ego trip of doing it still be more important?